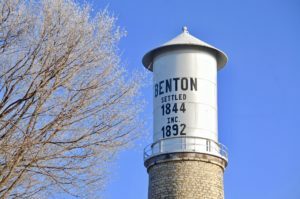 In an effort to make paying your Village of Benton tax bill more convenient, the Village of Benton now offers an online bill payment option to its taxpayers. Credit card payments may be made at www.officialpayments.com. You will need your parcel number or your bill number to make an instant online payment. Both of these can be found on your paper tax bill. There is a fee charged for this service. Please only use this service for tax payments paid directly to the Village of Benton. Do NOT use this service for payments made to Lafayette County, for example, payments made after January 31st or second installments.